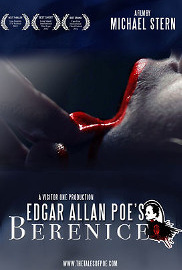 One of Edgar Allan Poe's hidden gems, 'Berenice' is a macabre tale of loss and obsession. Egaeus is the heir to a vast estate. The only light in his life is his beautiful cousin, Berenice, and while he has no feelings for her, she secretly pines for him. After summoning the courage to confess her love, Berenice is struck down by a disease that wilts her beauty and spirit, sending Egaeus further into depression and triggering obsessive compulsive episodes. Desperate to overcome them, Egaeus proposes marriage to Berenice, hoping her happiness will restore his own, but it only creates a new nightmare as Egaeus fixates on Berenice's last surviving trace of beauty and becomes determined to possess it at any price.